This product is an end-of-year version of the popular "Find Someone Who..." activity. 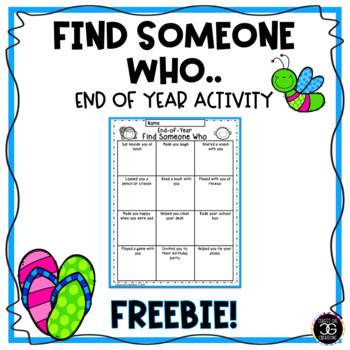 Your kiddos will enjoy getting up and moving around as they seek classmates who have supported them and become their friends throughout the school year. I would LOVE to hear from you! 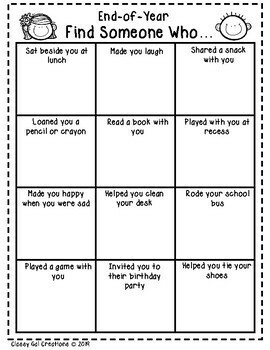 Please be sure to leave feedback and let me know if your class enjoyed this activity!